Welcome to Kelly’s Medical Equipment & Supply, how can we make your life better today? With locations in Moline, Davenport, Clinton, Kewanee, Geneseo, and Galesburg, Kelly’s Medical Equipment & Supply can serve the home medical equipment needs of more people in the greater Quad Cities area. This is one of the 70 Alzheimer’s Association Chapters across the United States. The Alzheimer’s Association is the leading voluntary health organization in Alzheimer care, support and research. This local chapter serves the Rock Island County Residents and surrounding areas. Western Illinois Area Agency on Aging is an Aging and Disability Resource Center. We serve a 10 county area that includes: Bureau, Henderson, Henry, Knox, LaSalle, McDonough, Mercer, Putnam, Rock Island and Warren County. We ensure coordinated, accessible services for older persons to live independent, meaningful and dignified lives. The mission of Western Illinois Area Agency on Aging (WIAAA) is to ensure coordinated, accessible services for older persons to live independent, meaningful and dignified lives. WIAAA is one of 13 Area Agencies on Aging in Illinois. We cover a 10 county area which includes Bureau, Henderson, Henry, Knox, LaSalle, McDonough, Mercer, Putnam, Rock Island and Warren County. Serving as a county-wide Community Focal Point for seniors, the Rock Island County Senior Center offers a variety of services for persons aged 60 and over. These services are funded primarily by the Western Illinois Area Agency on Aging (WIAAA). Trinity Pathway Hospice is offered in two formats: a home care program and in-patient services. Hospice provides symptom management and addresses end-of-life issues patients and their loved ones face. Respite services are available when caregivers need short term relief. 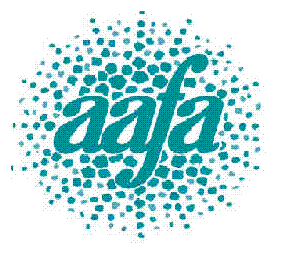 The Asthma & Allergy Foundation of America (AAFA) est. 1953, is a not-for-profit organization that develop health education and fund research to improve the quality of life for people with asthma and allergies and their caregivers. Providing online access to AAFA’s reliable asthma and allergy information and tools to families, patients, parents, policymakers, healthcare providers and others. Distributing their message through a network of Regional Chapters, Educational Support Groups and other Local Partners around the U.S. The Coalition closely follows legislative and regulatory issues that hold potential impact for supported living providers. Through electronic alerts, presentations and educational seminars, we ensure that members are aware of and have appropriate input into such issues. 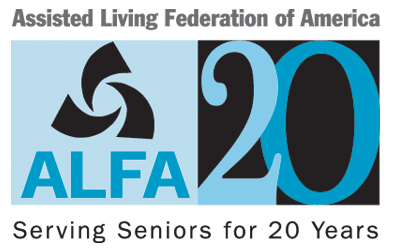 ALFA – The Assisted Living Federation of America) is the largest national association exclusively dedicated to professionally operated assisted living communities for seniors. 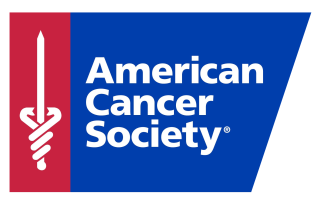 The American Cancer Society has a dedicated mission to eliminating cancer as a major health problem by preventing cancer, saving lives, and diminishing suffering from cancer, through research, education, advocacy, and service. American Diabetes Association mission is to prevent and cure diabetes and to improve the lives of all people affected by diabetes. Leading the fight against the deadly consequences of diabetes and fight for those affected. Funding research to prevent, cure and manage diabetes. Delivering services to hundreds of communities where they provide objective and credible information and give a voice to those denied their rights because of diabetes. The Arthritis Foundation is the only national not-for-profit organization that supports the more than 100 types of arthritis and related conditions. They offer information and tools from medical experts to specialized arthritis self-management or exercise classes to help people live a better life with arthritis. Ask Medicare is a special website developed by the Centers of Medicare & Medicaid for people who provide care for a loved one, friend or neighbor. You can find information and materials designed to help with billing, navigating the Medicare program and understanding what care options are available. You also can access Information designed to help caregivers stay healthy and sign up to receive the Ask Medicare newsletter. AMAC is an organization for those 50 years of age and older. The Association of Mature American Citizens (AMAC) is here to protect your interests, and to offer an alternative perspective on how to best solve the problems seniors face today. BenefitsCheckUp is free service of the National Council on Aging (NCOA), a nonprofit service and advocacy organization in Washington, DC. Many adults over 55 need help paying for prescription drugs, health care, utilities, and other basic needs. There are over 2,000 federal, state and private benefits programs available to help. But many people don’t know these programs exist or how they can apply. CardioSmart is a patient education site of the American College of Cardiology. Their mission is to engage, inform, and empower patients to better prepare them for participation in their own care. With a commitment to providing online visitors with accurate, un-biased information in an advertising-free environment. They can help you with your relationship with your cardiologist. The Disabled American Veterans is a non-profit organization devoted to building better lives for America’s Disabled Veterans. This site serves as a source for assistance with benefits from the military and other information such as legislation having to do with disabled American veterans. Illinois developed the Supportive Living Program as an alternative to nursing home care for low-income older persons and persons with disabilities under Medicaid. By combining apartment-style housing with personal care and other services, residents can live independently and take part in decision-making. Personal choice, dignity, privacy and individuality are emphasized. The secure Web site for the Illinois Department of Healthcare and Family Services. This Web site allows authorized users online access to departmental information on the HFS programs. The Life Services Network is a statewide association that represents the leading providers for the continuing services of older adults through services including nursing care, supportive and assisted living, senior housing and home and community based services. LSN is nationally recognized for its innovative programs, leadership and expertise on issues related to long term care and senior housing and services. 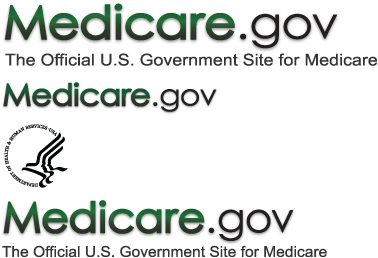 This is the official site for Medicare, with news and information about the Medicare program and benefits. Established in 1984, the National Osteoporosis Foundation (NOF) is the nation’s leading voluntary health organization solely dedicated to osteoporosis and bone health. Their mission is to prevent osteoporosis and related fractures, promoting lifelong bone health, helping to improve the lives of those affected by osteoporosis and discovering cures through programs of awareness, advocacy, public and health professional education and research. 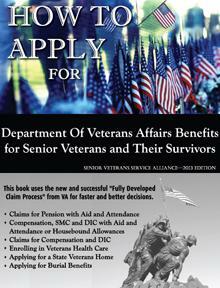 The SVSA lists field service officers, appeals agents, advocates and eldercare services in many areas of the country. These listing providers help older veterans and their widows understand veterans benefits available to them. UpToDate® is the premier evidence-based clinical decision support resource authored by physicians to help healthcare practitioners make the best decisions at the point of care. By combining the latest clinical knowledge with cutting-edge technology, UpToDate changes the way clinicians practice medicine and has become an indispensable part of clinical workflows in institutions and practices worldwide. Mission: Working to find a cure for psoriasis and psoriatic arthritis and to eliminate their devastating effects through research, advocacy and education. Mission Statement: Hospice Foundation of America provides leadership in the development and application of hospice and its philosophy of care with the goal of enhancing the U.S. health care system and the role of hospice within it.